Addonics ADSA2 Serial ATA PCI Controller with RAID. New. ADMtek PG232914481 NIC Card. New. Agere Pinball P40 Modem. Refurbished. Amphenol Fiber Optic Cable NT0X97DF. New. Antec Easy USB. Connects USB Devices To The Front of Your PC. AOpen AON-101, 10 MBPS ISA PnP EtherNet Adapter. ASUSTeK P5GD1-VM LGA775 Socket Intel Motherboard. Atech ATS-127A Modem. Used. ATI 90517 Diamond Video Card. Refurbished. Audio Cable for IDE-CD-ROM. 18". New. 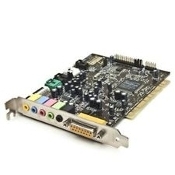 AudioExcel AV512 6 Channel PCI Sound Card Audio. Audio Excel. Aureal Vortex2 Au8830 Vortex 2. SQ2500. 4 Channel Sound Card. 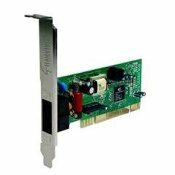 Belkin F5D5000 Desktop Network PCI Card. 32 BIT NIC Card. Best Connectivity SD-SA2PEX-2E Card. New. Biostar 3D Graphics Card. AG211TB Ver 3.5. New. Bluetooth 2.0 USB Dongle. New. Retail package. CNet PRO200 PCI Fast Ethernet Adapter 10/100. NIC Card. Compaq 108846-001 Motherboard With Processor. Compaq 120788-001 PCI Ethernet Network Interface Card. NIC. 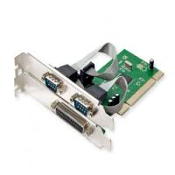 Compaq 243651-001 10/100 Fast Ethernet PCI Card. Compaq 245151-003 USB Cable 9-Pin to 9-Pin. Compaq 263371-001 Fax Modem Internal Card. Refurbished. Compaq 283983-001 Motherboard. Refurbished. Compaq 287938-004 Motherboard With CPU and CPU Fan. Compaq Presario 411693700004 Sleep Button. Used. Creative SB0410 Sound Blaster Audio Card. Creative Sound Blaster 0181UR PCI Sound Card. Crystal CS4280. New. 4 Channel PCI Sound Card. A-4280. D-Link DFE-530TX+ 10/100 Ethernet NIC Card. 790069220333 Dell 2H301 Biz Audio Cable. Dell 3000-016220 NIC Card. Refurbished. Dell 48.3AG02.011 I/O Board. Working Pull. 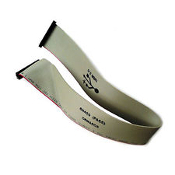 XFPRD Dell 6N429 BIZ Ribbon Cable. Refurbished. Dell 7C712 07C712 10/100 NIC Card. 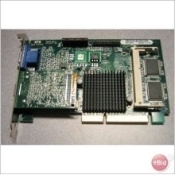 Dell 9P301 Nvidia P73 NV17 4x/8x AGP 64M Video Card Dell ASSY-6X589 Optiplex GX270 System Board Tray. Dell E210882 Motherboard with CPU. Refurbished. Dell E219542 Riptide Motherboard. Refurbished. *** Dell E219542 Vesuvius Motherboard with CPU and Heatsink. Dell I/O Front Panel Board 0M686. Dell Latitude Intel PMC23305001AA PII 233mhz CPU Card. Used. Dell MJ282 USB Audio Control Panel Board. Refurbished. Dell Optiplex 08UMD Front I/O USB Card. Refurbished. Dell PMG36602001AA PII-366Mhz-256K Laptop CPU Board. Dell RD01-D270 Fax Modem. 56K. Refurbished. Dell Vostro 320 All In One Motherboard. 0N867P. Dell Vostro 320 Desktop LCD Video Flex Cable. 030VNH. 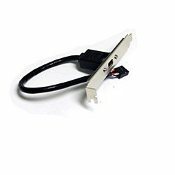 Dell Vostro 320, 03GYT1 LCD Inverter Cable. Used. Diablo SCAU1930 Ultra Realistic 4.1 Sound Card. New. Diablotek ATI Rage 128 Pro 32MB PCI Video Card. VAR128P-32P Dunkermotoren BGE2406C Controller. Refurbished. Dynex DX-2P2C USB 2.0 2 Port Host Adapter. New. eMachine GLF-680-070-706 Media Card Reader. Refurbished. Encore Electronics ENLGA-1320 Gigabit PCI NIC Card. Nre. Encore ENF656-ESW-AGPR V.92 56K PCI Fax Modem. Encore ENL832-TX-RENT 10/100Mbps PCI Fast Ethernet Adapter. Encore ENM232-6C 6 Channel Sound Game Card. New. Encore Enternal V.90 Fax Modem. ENF656-EV-CIPR. New. ERG NL10276BC30-17 NEC DMD DMD43301F. EVGA Firewire One Port for Expansion Slot. PCI. Firewire 1394 Cable Adapter. New. GeForce MX 4000 Video Card. 64MB. PCI. Refurbished. Genica GN-100 Mouse. PS/2. New. Genica GN-210 Removable Mobile Media Hard Drive Tray. GVC F-1156l/R2F Modem. Refurbished. 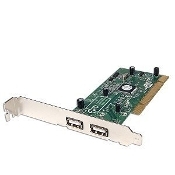 Hawking HGA32T Gigabit PCI Adapter 10/100/1000. New. Hawking HM92P PCI V.92 56K Modem. New in Retail Box. HP 320561-001 Cable. K.J. Used. HP 466851-001 GeForce 9300GE 256MB PCI-E. Refurbished. HP 5070-3187 15 IN 1 Card Reader. 4-Slots. Refurbished. 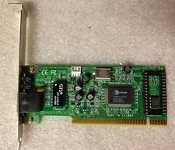 HP 5189-0936 PCI-e Modem 56K V92 Kiwi. Conexant. HP Compaq 5188-2907 RJ11 Modem. Refurbished. IBM 89P6836 Speaker Assembly. Refurbished. IBM ThinkPad 233MHZ Processor Board. 10L1200. Refurbished. Inland 58017 Thundersound 4.1 Wave Sound Card. Intek21 TK6-0102B USB 2 Port Adapter for PC and MAC. Intek21 TK9906 USB 2-Port Adapter for Easy Device Connections. Intel Entry Server Board SE7230NH1-E. Motherboard. Intel KB581604/02 537EPG 56K Modem. Intel MPCl5000AM Pro Wireless 5000 LAN PCI Adapter 802.11a. IO Crest SY-PCI50029 PCI Multi I/O Combo Card. New. Jaton 97 AGP Multimedia Accelerator. N1058. 642404482978. Keyspan FPCI-3N Firewire PCI Card. New. Kingston KNE30T NIC 10/100 Card. Linksys LNE100TX Ver.5.1. New. 10/100 NIC Card. Linksys LNE2000T Ether16 10BasT LAN Card. 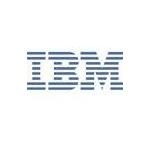 745883548279 LSI Logic Model LSI20320C HP. Matrox Video Card AGP 798-02 REV_A MGI G2+/MILA/8BN/20 Micro Innovations USB640A 2 Port USB 2.0 PCI Host Card. Netgear EA201 EA201C ISA Adapter 16 bit. 10 MBPS Ethernet. Netgear FA311 Fast Ethernet PCI Adapter. Nexxtech NPCINIC 10/100 Fast Ethernet NIC Card. New. NVIDIA P73 Video Card. Refurbished. NVIDIA Quadro by PNY 256MB DDR2 PCI Express. P538. NVIDIA Quadro FX 4500 PCI-Express 512MB Video Card. PC TV Capture 7130 TV Tuner PCI Card with Remote. New. PCI PnP Fast SCSI Host Adapter. PCI-3030H. New. PCI to Parallel 2 Port Controller Card. SD-PCI-2P. New. PictureTel 270-0010-01 R2 Video Card. Refurbished. PictureTel 500-0104-03 Server Board For S4000. PictureTel S4000 System 4000 Video Conference Processor. PictureTel System 4000 Software Cartridge. PNY 751492229454 Video Card. Refurbished. PPA Intl PPA 1417 4 Channel PCI 3D Interface Sound Card. 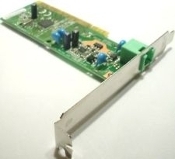 Realtek 400-20001-1 PCI Network Card. New. SMC 141211-407 Low Profile Ethernet Card. 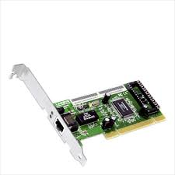 SMC SMC1244TX-1 EZ Card 10/100 Fast Ethernet PCI Card. New. StarTech 0303060368PCI PCI Multi I/O Card. New. 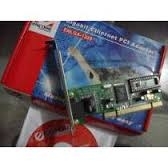 Syba Multi Hi Speed USB 2.0 Port PCI Card. SD-V2-5U. New. Syba SD-ATA133R Ultra ATA IDE Controller PCI Card. New. Syba SD-PCI-2S PCI 32-Bit 2X Port Serial DB9 Card. New. TRENDnet 54Mbps Wireless G USB Adapter TEW-424UB. TRENDnet TFM-560U 56K (V.92) USB 2.0 Data/Fax/Voice Modem. Trinidad Riser Card. PCIe 1x-ADD2-R Slot. Ultra SCSI DC-315 Host Adapter for MAC or a PC. New. 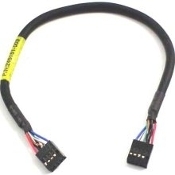 VGA Cable E119932-J. 9 Pin. VGA Female to VGA Male. VisionTek ATi Radeon X1300 REV1.0 Video Card. Volksmodem 12. New. External Command Driven Smart Modem. Wise Land 2S1P PCI to Serial ATA 150 + ATA 133 Controller Card. Wise Land MW12004013965 High Speed USB 2.0 PCI Card. Wise Land PCI Interface Parallel Adapter. 2 Ports. MW12004045859 WLG-1203 802.11g Wireless PCI Adapter Card. Zoom 1479191560 56K Modem Card. Used. 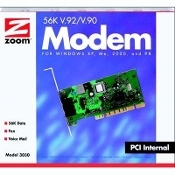 Zoom Technologies V92 PCI 56K Modem New.